OMEGA Engineering offers a wide range of thermocouples in Australia. 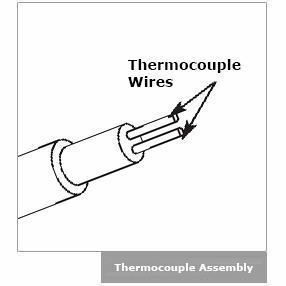 Thermocouples are available in different combinations of metals or calibrations. 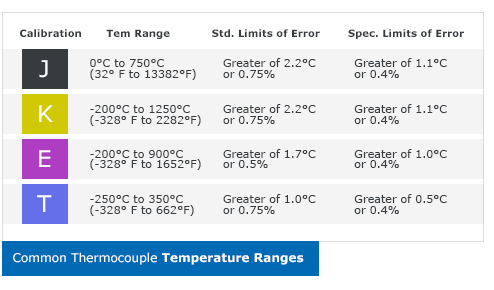 The most common are the “Base Metal” thermocouples known as Types J, K, T, E and N. There are also high temperature calibrations - als known as Noble Metal thermocouples - Types R, S, C and GB. A beaded wire thermocouple is the simplest form of thermocouple. It consists of two pieces of thermocouple wire joined together with a welded bead. Because the bead of the thermocouple is exposed, there are several application limitations. The beaded wire thermocouple should not be used with liquids that could corrode or oxidize the thermocouple alloy. Metal surfaces can also be problematic. Often metal surfaces, especially pipes are used to ground electrical systems The indirect connection to an electrical system could impact the thermocouple measurement. In general, beaded wire thermocouples are a good choice for the measurement of gas temperature. Since they can be made very small, they also provide very fast response time. It depends on the instrumentation. If there is any chance that there may be a reference to ground (common in controllers with nonisolated inputs), then an ungrounded probe is required. If the instrument is a handheld meter, then a grounded probe can almost always be used.